Do you believe in angels? Do you think they exist? After my own experience with angels, I know they do exist. It was such an amazing experience that I cannot even begin to describe the feeling one gets from being in their presence. I know my niece has had a very strong Christian upbringing and don’t doubt her for a minute. I was very intrigued as angels present themselves to us all the time so, I asked her to elaborate and share her story. “I was with my sister so, she can collaborate the story, too,” my niece began. “We were driving down this road, and it was dark. We could hardly see a foot in front of us when all of a sudden the car stopped...it just stopped. There were no guard rails at the time to prevent drivers, or even warn drivers, of treacherous driving areas. What stopped the car and saved them from impending death? My niece went on to tell me that was not the first time she’d been saved by what she said was an angel. She was new to the area and trying to make friends when this encounter took place. “I was about seventeen then and we had just moved to Michigan when my parents took my brother and went on vacation. I was looking for some people to hang out with when I ran up with a group who asked if I wanted to go to a party with them so, I said yes and got in the car. “They drove out towards the woods. The farther we drove, the more secluded it became and I suddenly had the feeling that I was in danger. I knew something bad was going to happen to me if I didn’t get away. Then, out of nowhere this car pulls up along side of us and this guy, in his pajamas, jumps out and comes over to the car. “And he took you home?” I asked to clarify he didn’t just drop her off in a safer part of town and continue to let her fend for herself. I shared my experience with someone else of Christian faith. 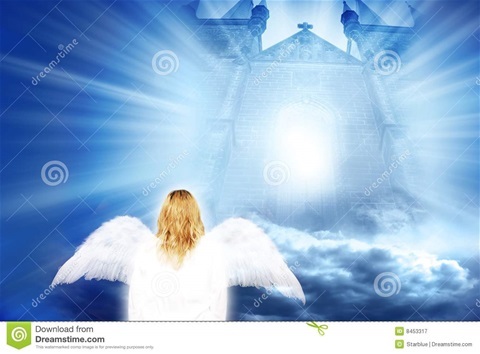 I had male and female angels too meaning, they had specific genders. The person I shared with said that angels do not have genders so it was odd that my angels did. However, because man is simple minded, compared to our angelic friends, these celestial beings present themselves in forms we understand: men and women. The angels who came to see Moses were male and likewise, those who visited Lot were also male. I have had a few other experiences where an angel’s presence has been made known to me. To this very day, I will tell you that I know their hand was at play and I am alive today because of it.